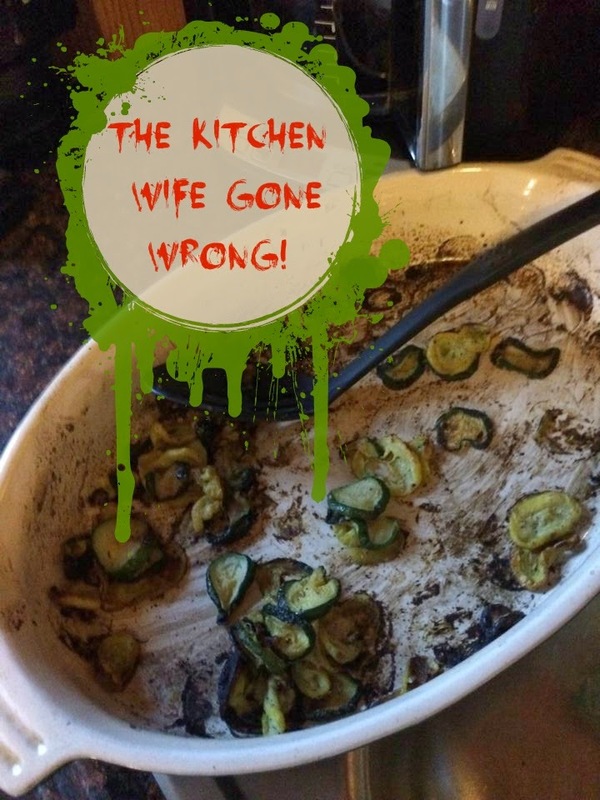 The Kitchen Wife Gone Wrong....REALLY wrong! I was a lucky Kitchen Wife last night! Studhubs came home and took me out to dinner. We went to one of my favorite places, Olive Garden. Can I just say that if you ever get the opportunity to try the salted caramel tiramisu DO IT! MIND BLOWINGLY GOOD! If you are like me, you read all of these blogs, and see all of these recipes on Pinterest, and think to yourself, "My dishes never look like that." or "They never have a bad day in the kitchen." Well, kitchen friends, today is the day I make you all feel better about your kitchen lives, and prove you all wrong. I scored big at the end of last summer. We have these pop-up vegetable stands all over town in the summer and at the end of the season, when they just need to get rid of stuff, they will hand out CRATES of FREE produce!! FREE! I scored LOADS of eggplant, green beans, zucchini, squash, green pepper, tomatoes, etc. Obviously we were not going to be able to eat all of it before it went bad, so I cleaned, blanched, and froze a lot of it. I had forgotten about the zucchini and squash until the day I was cleaning out my deep freeze. I had never worked with these items frozen so I called my friend Liz, who is a bit of a veggie guru, and asked her how she would prepare them. She had never worked with frozen either so she recommended I roast them. Well, I did, and all I have to say is that....it didn't work. This one is totally on me. Since I was grilling, I thought I would try and fry these up on the side burner of my grill. It was very windy out that day though, and I was having a hard time keeping the burner going at full whack. This meant longer time in the pan, which meant more oil absorbed, which led to greasy pancakes. Yeah, they were nearly inedible. 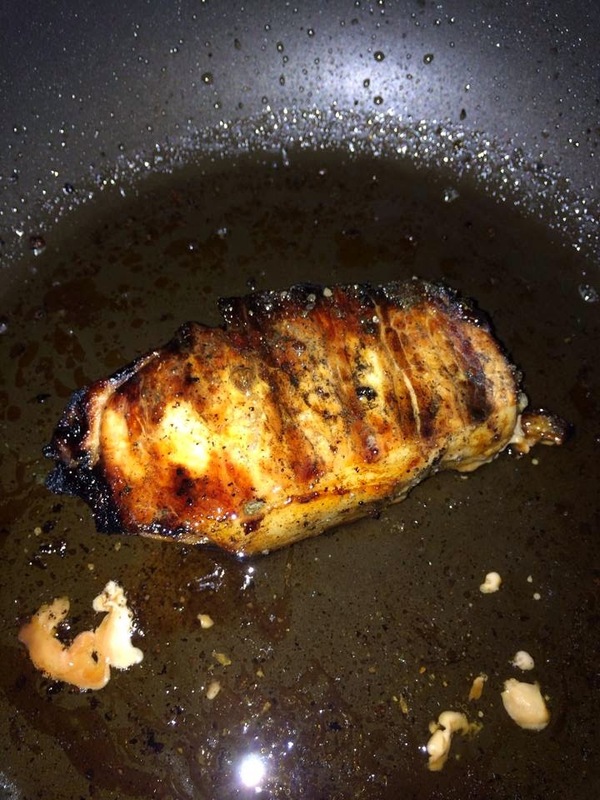 If you look at the paper towel, you can see all the excess oil. GAG! This was nearly my breaking point. As I had mentioned earlier, it was a windy day, and though I have a gas grill, it was causing some issues. Also, I didn't trim the fat off two of the chops because that is Studhubs favorite part, so I had loads of flare ups. 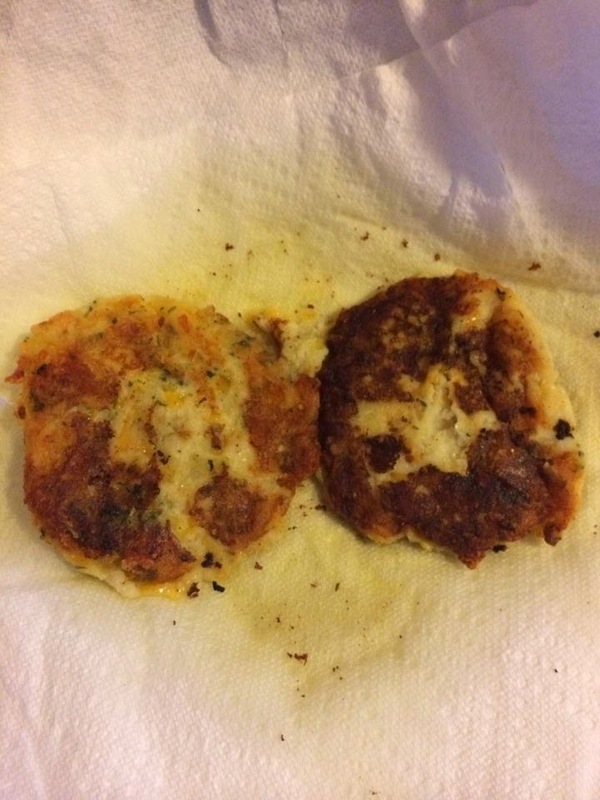 Not to mention, I was distracted with the issues I was having with the potato pancakes cooking at the same time. Needless to say the outside burnt before the inside was fully cooked. I did manage to KIND OF save one, but as I was pulling it off the grill it slipped from the tongs, onto the ground, and rolled...in the dirt. Now, my Studhubs is a top notch guy, he totally ate this dinner. I know right! We ate it, and laughed about it, because EVERYONE has those days in the kitchen. It just isn't worth getting all worked up about. :) Cooking is all about trying new things, making mistakes, and learning from them. You will have masterpieces, and master flops. Bottom line, it is the heart behind the meal that matters. I feel as though I cannot leave you without telling what I learned from this experience, and how I can prevent it from happening in the future. 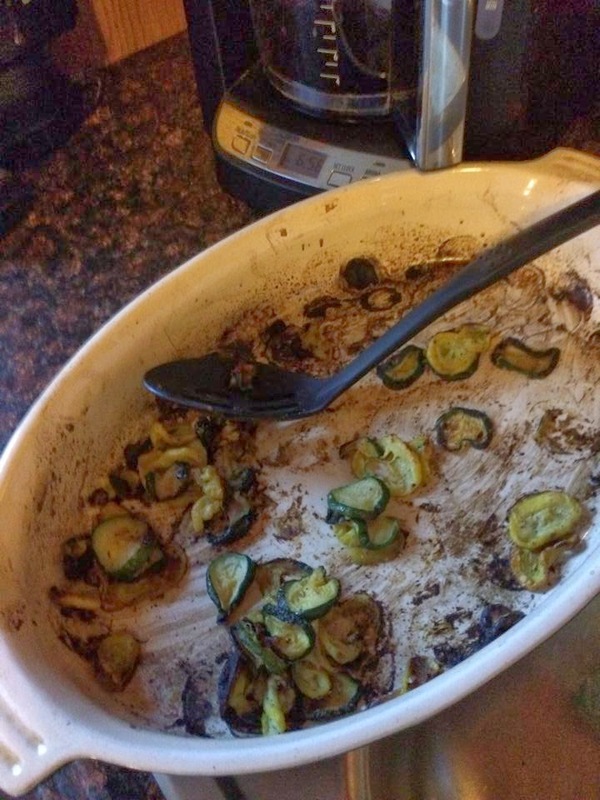 I will not be roasting frozen zucchini and squash every again. I will be researching the internet for the best way to prepare them from now on. I will make the potato pancakes in advance and reheat them just before we eat. When grilling on a windy day, or any day for that matter, I will focus on the grill, and only the grill. It is not worth ruining good cuts of meat. I hope you have found both humor and comfort in this post, but most of all I hope you leave this knowing that what you see online is the BEST of MANY flops! 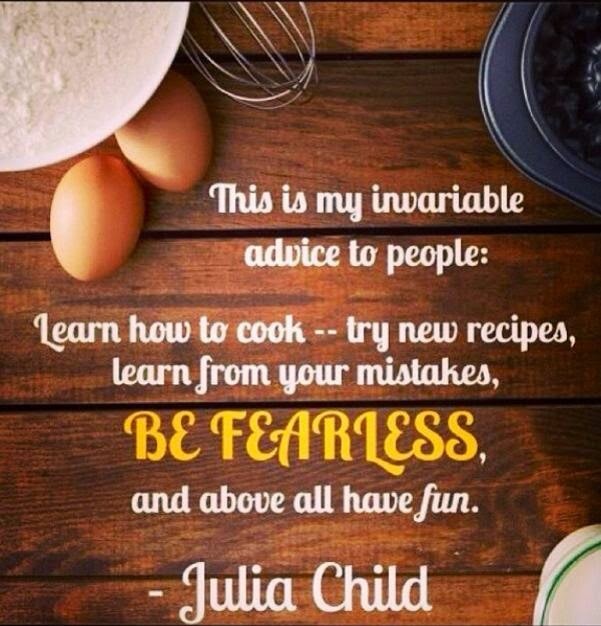 Whenever I miss the mark in my kitchen, I always revert to this quote from the great Julia Child and keep on cooking.